Jeffrey Lang is the Associate Principal Horn of the Philadelphia Orchestra and is currently on the faculties of Bard College, Temple University and the Curtis Institute of Music . Formerly principal horn of the Israel Philharmonic and the American Symphony Orchestra, he has also performed as guest principal horn of the Bavarian Radio Orchestra, the New York City Opera and the Orpheus Chamber Orchestra. Jeffrey studied at the Juilliard School and Temple University, and has given masterclasses in Israel, Finland, Korea, China and the USA. He is a frequent soloist and has appeared with Zubin Mehta, Mung-Whun Chung, Kurt Masur , Cristian Macelaru, and Rossen Milanov conducting. Chamber music performances at home and abroad have included concerts with Bella Davidovitch, Diane Walsh, Simone Dinnerstein, The Israel Piano Trio, the Wister Quartet, , Melvin Chen, the Canadian Brass, and members of the Philadelphia Orchestra. He has participated in the Kingston Chamber Music Festival, Bard Summerscape, OK Mozart and the Spoleto Festival. 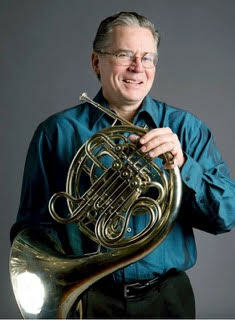 Jeffrey records for several TV, film, and commercial artists in the metropolitan area and was Principal horn of Disney's long running Broadway hit, Beauty and the Beast. He is an active member of the Recording Academy, the International Horn Society and the American Federation of Musicians. Jeffrey has recently released a solo horn album " One World Horn", a charitable project presenting unaccompanied horn works from around the world. A live recording of Richard Wilson's Concerto Triple Concerto for Horn, Marimba and Bass Clarinet is also available on iTunes with the American Symphony Orchestra. ​Jeffrey lives in New Jersey with his wife, Finnish cellist Elina Snellman-Lang, and their two sons, Johannes and Markus.